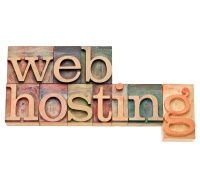 Is free web hosting the right option for you? So, you’ve decided to give your business an online presence. Whether you're running a long standing commercial enterprise, creating some resources for a hobby community or something else entirely, the one thing that every website needs is hosting. With so many options out there, how to choose a hosting service? And what are the downsides to choosing free web hosting over the paid versions? If you're using the free website builder option for your hosting, there will typically be limitations to the service provided versus the paid service. Let's have a look at some of the typical issues you'll have to consider when choosing a free web hosting provider. One of the most common concessions you'll have to make when choosing a free web hosting solution is to allow the host to place its adverts on your site. The more commercial your website is, the less likely that visitors are going to want to see random adverts that may have little or nothing to do with your content. If your website is to promote your hobby, or provide free information or content, your visitors may be a little more understanding. If your site is promoting a serious business, it will pay dividends in the long run to find a host which minimizes the number of ads you have to display, and the style. Will I have enough bandwidth? We're sure you'll appreciate that many of the web companies are offering you free hosting with the hope that you'll eventually upgrade to one of their paid solutions. As such, they won't be willing to devote much bandwidth to free users at the expense of their paid customers. So, do some sums in advance and work out whether the bandwidth on offer will be sufficient for your prospective customer or user base. Will there be limits on design and functionality? Choosing a template is probably the most important decision you can make. Most visitors quickly make up their mind whether to hang around from a brief look at your formatting and design. A template gives a general layout and look for your site, and a lot of the time it's as simple as dragging and dropping your content into it. It’s not easy, but we guide you on how to build a website. This is a really simple way of getting up and running, especially if you don’t feel like a design aficionado quite yet! Before you commit to your choice of builder, take some time to have a look at the templates that you can use with the free option. The layout and overall appearance of a site is crucial to driving traffic (and retaining customers), so make sure that they have something that fits your message, and the image you want to present. If you are a small to medium sized business, or looking for some publicity for your newest venture, then free web hosting is almost certainly the right option for you. Keep in mind the limitations, which could include bandwidth, advertisements and limits on design and functionality when you start your search!